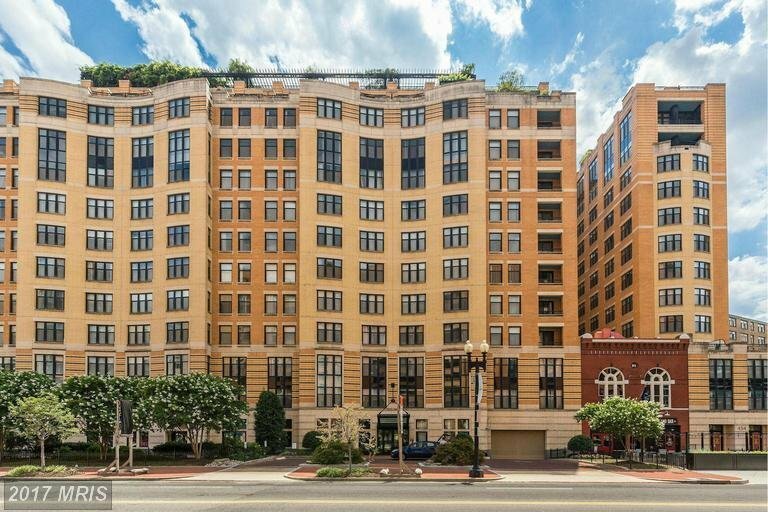 400 Mass Ave Condo | Transportation & Location: The 2005 built 400 Mass Ave is located in Penn Quarter on the corner of Mass Ave NW, 4th St and H St. The closest Metro to 400 Mass Ave is Gallery Place-Chinatown on the Red, Green and Yellow Lines. The nearest grocery store is the Safeway at 4th & L NW. Studio on the 3rd floor with the view of Mass Ave. Property features: HW floors, W/D in the unit, ample kitchen cabinetry and closets. Building offer roof-top deck, pool, gym, 24hr front desk. Excellent location near restaurants, shops and METRO! Tenant occupied, rent $700/month. Beautiful large one bedroom unit in the luxurious full service condo building. Unit features open floorplan, ample storage space, spacious kitchen w/laundry in pantry, open to dining & living area, large bedroom w/walk in closet, access to bathroom from bedroom & living area. Premium parking spot! Building features concierge, elevators, fitness center, rooftop grilling area & pool, pet friendly! The 400 Mass Ave Condominium | Additional Information: Also known as 400 Mass Ave, 400 Mass Ave Condos, 400 Mass Avenue Condos, 400 Mass Avenue, 400 Mass Avenue Condominiums, 400 Mass Ave Condominiums. 400 Mass Ave is located at 400 Massachusetts Ave, NW Washington, DC 20005. 400 Mass Ave Condo | Rules: Elevator Use, Pets-Allowed, 400 Mass Ave Condos are managed by Delbe Real Estate, and can be reached at (703) 519- 6479, The building manager is Scott Burka.